We have been getting a lot of inquiries about what we are going to name our little boy, and some of our most observant companions on this journey have even come to the conclusion that the letters on the wall may not simply be a splattering of random letters, but instead the key to discovering our little Man-fant’s identity. Well.. You are correct- and in our typical “big reveal” style-we cannot simply spill the oh-so-magical beans. The mumbo-jumbo of scrambled letters are in fact every letter of the little guy’s name- First, Middle and Last. (Some of the letters may be used more than once). 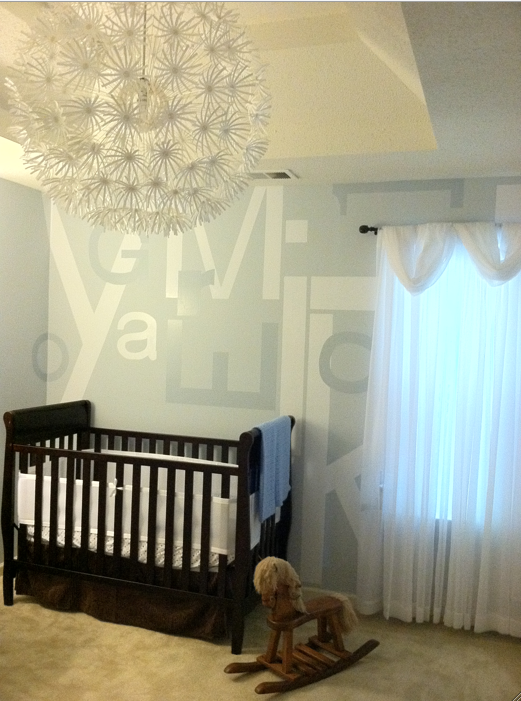 This entry was posted in A diary for baby and tagged alphabet nursery, baby name, baby nursery by themielkeway. Bookmark the permalink.